The Student Plus Foundation is a non-profit, non-government organization founded in 1999. Our goal is to provide educational services, personal growth opportunities and community outreach programs while offering an essential spiritual plus. We exist to provide quality education services and to offer an essential spiritual plus!. Build solid relationships with our constituency (staff, students, volunteers, sponsors, partners) locally and abroad. To support individuals and groups of individuals with special attention to the disadvantaged, in gaining and improving knowledge and skills in different areas of interest: foreign languages, communication and life skills, computers, management, marketing, social work, history, culture, religion and civilization. To attain these objectives, we organize courses, seminars, symposiums, conferences, camps and trips, in cooperation with other organizations, institutions, universities and individuals from Romania and from abroad. To foster our students’ well being by focusing on lifelong learning opportunities. To be a catalyst for change in our society, responding to community needs and offering them an essential spiritual plus. To pursue partnerships with similar interest organizations locally, nationally and internationally. To minister to all of our students by mentoring and discipling them, and by establishing genuine ties of fellowship with each other and with local churches and communities. The Student Plus Foundation develops its activities and projects in cooperation with organizations and people from Romania and abroad. (U.S.A., Canada, Australia, Great Britain, Holland, Germany, Hungary). 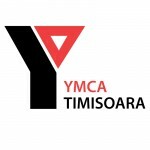 Since 2007, Student Plus is a member of the YMCA Romania Federation. Twice or once a year English camps for graduates and undergraduates. Once a year professional English camps for educators (teachers, professors) and healthcare providers. Once a year ski camp, conference for couples and discipleship camp. Education for the disadvantaged including language courses, various trainings and life skills. Youth projects using formal and informal education methods. English language courses which include: general English from beginners to advanced, Business English, medical English. Italian, French, German, Portuguese & Dutch language courses, Romanian language for foreigners. TOEFL and Cambridge prep courses, International testing TOEFL, TOEIC, TFI. Conferences and workshops on different topics. More than 6000 people have been involved in our programs and projects.